The second release from Chromewaves Radio in Los Angeles is this debut 7″ from THE KEEPSIES of Brooklyn, NY. It’s a fun-loving and honest effort, quickly evidenced by the title of the 7″ – Dumb Fun. Listen in to the first self-titled track and you shouldn’t have any trouble agreeing. 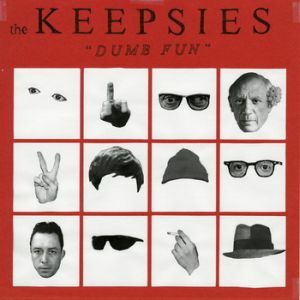 “Dumb Fun” starts with a wonky bass line and a curiously glimmering guitar jangle, showing off a surfy element in their sound even without the opening lyric – “Let’s go surf all day at the beach.” They follow through with more appropriate lyrics and glinting guitar solos, sealing up a painfully innocent song that is tight and tidy. Now flip over to the B-side for a different sounding track entirely. “Saturday” is a lightweight and mellow track characterized by Vince McClelland’s high-pitched croon, much like you’re floating out in the middle of the ocean without a care in the world. It’s also worth noting that these guys have close ties with bands like Parquet Courts, and that drummer Jason Kelly was previously in Wax Museums and Fergus & Geronimo. Now listen to their single right below, then go grab the 7″ because there’s only 250! BUY the 7″ directly from Chromewaves Radio – limited to 250 ! 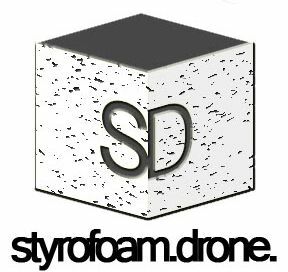 Posted on March 13, 2013 March 13, 2013 by styrofoamdronePosted in 7", ReviewsTagged garage rock, pop, surf rock.